01 - BETTER TARGET SEPARATION AND DEPTH! Research during the development of the DEUS V3.0 has led to improved digital signal processing and this has resulted in increased target separation and depth in mineralized ground. You will see a clear improvement using Reactivity 3, 4, and 5. For example, on Reactivity 3 you will obtain target separation similar to Reactivity 4 on V2.0. 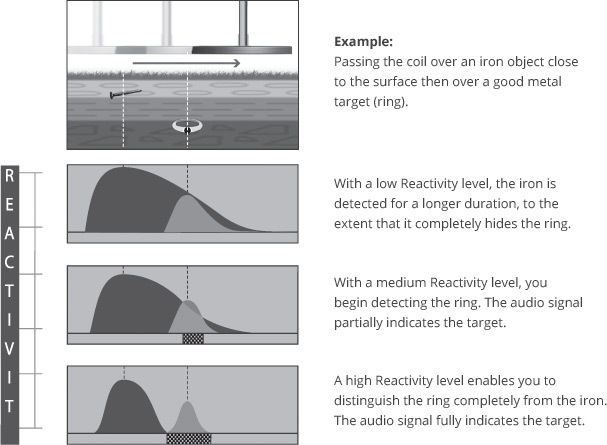 The Reactivity 4 and 5 settings will provide even greater target separation! 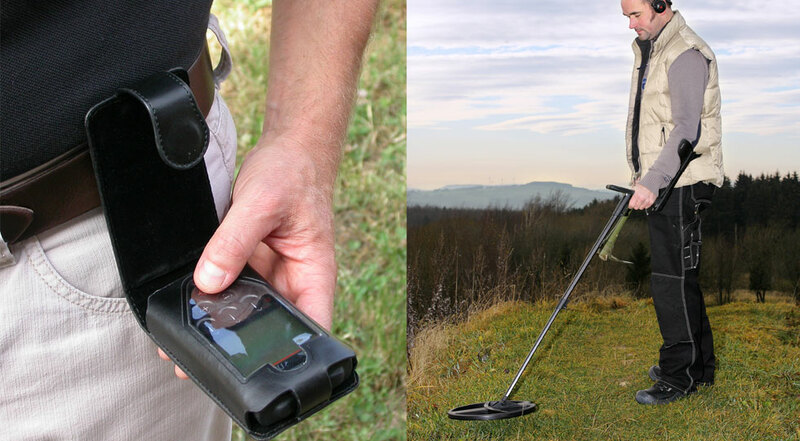 This enhanced ability to distinguish between good targets, iron and ground mineralization is a major evolution in the metal detecting field. It will be a pleasure for both novices and professionals to use and makes the DEUS the fastest detector on the market in terms of target separation and recovery. (manual V3 pg 13/14). 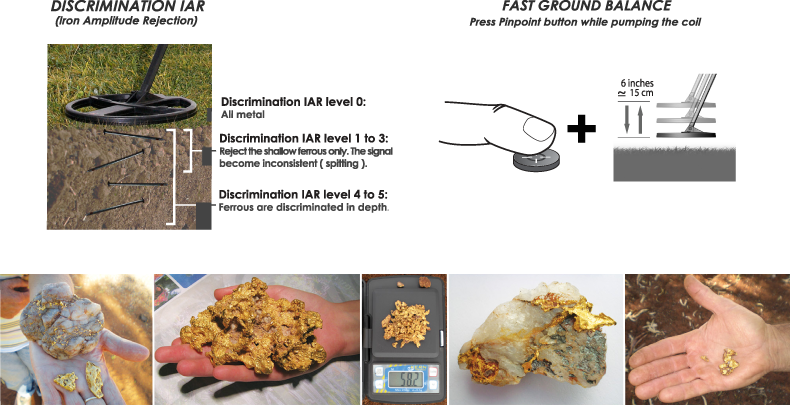 02 - NEW PROGRAM N°10 - GOLD FIELD Deeper on highly mineralized ground! 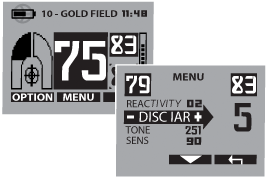 Note: The target ID feature is retained when working in the All Metal mode to aid in target identification. 03 - FINEST ADJUSTMENT OF GROUND EFFECT! 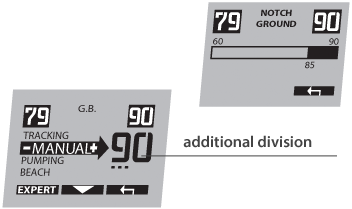 Each ground balance step between 60 and 95 receives an additional division of fine adjustment to allow for better ground tracking (pg:17). 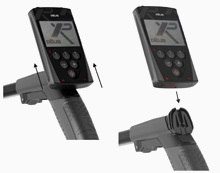 In the MANUAL or TRACKING mode, you have the ability to add a variable notch on the ground balance scale and eliminate false signals caused by hot rocks or other ground conditions (between 82 and 90) (pg 40). 04 - NOW 10 FACTORY PROGRAMS + 8 USER PROGRAMS THAT YOU CAN SAVE! 8 Memory slots have been added to save your user programs. The first 10 factory programs can be modified, but they will not be saved after turning the DEUS off, but you can now save them using the 8 new program slots (Option>Program>Save) (pg 22). 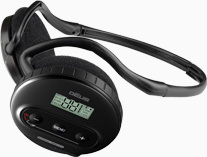 For users that control their DEUS with the WS4 and WS5 headphones, programs can now be saved and deleted with the headphone controls just like the remote control! (pg 31). 05 - SILENCER MORE EFFICIENT! The Silencer can mask iron signals with little reduction in target separation as experienced in V2.0. For example on beaches and parks, the Silencer will be useful to reject rusty bottle caps which are normally difficult to reject (choose Silencer level 4). Also, do not hesitate to increase it if you want to cancel the inconsistent (crackling) signals from iron. The Silencer can be deactivated when it is set at -1 (pg39). 06 - STRONGER AUDIO RESPONSE! Thanks to 2 added audio level points (0 to 7 instead 0 to 5), you can now further amplify weak signals from smaller or deeper targets. 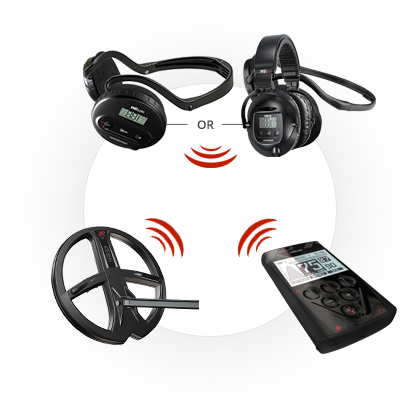 Be careful as it will also amplify noise from electrical interference or difficult fields (pg 15). 07 - TWO NEW AUDIO MODES - 5 TONES AND FULL TONES! 5 Tones: the targets can now be separated into 5 user-adjustable audio tones. Full Tones: Audio tones change according to the conductivity of the target. The higher the target’s conductivity, the higher the pitch of the tone (pg 37). The pitch of the fundamental frequency tone is now adjustable from 150 Hz to 600 Hz (pg 36). The Target ID value for a specific target will be consistent across the 4 operating frequencies when the ID Norm option is activated (pg 27). 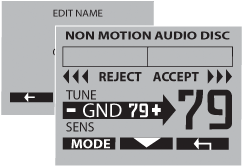 To facilitate the manual ground adjustments in the NON MOTION AUDIO DISC and NON MOTION AM mode, the actual Ground Balance value under the coil is now displayed in the arrow. Pump the coil to the ground to refresh the value and enter the value displayed to ground balance your DEUS. An accurate ground balancing will give you a more stable audio threshold and a deeper machine. An extended range of ground balance values is also now available in this mode (pg 21). Ability to delete a coil from the list (pg 25 and 31). The target’s ID is now displayed at the top of the left screen in the submenus. FREQUENCY SHIFT has been improved: you can now search closer to other DEUS users thanks to improved filtering (pg 39).